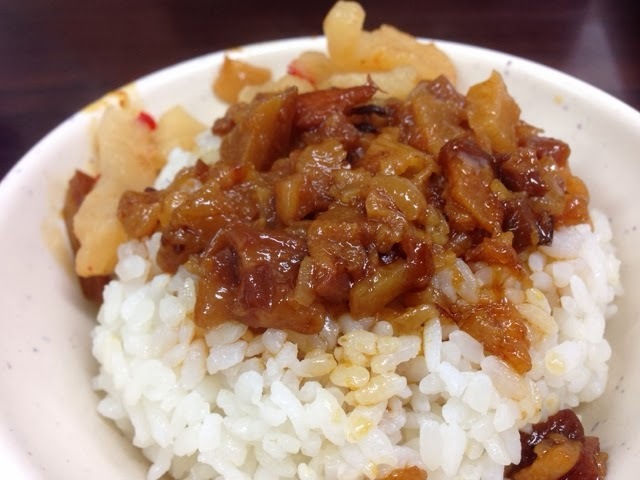 Enclave in the Ximending (西門町) district, there is a shop that sells pork ribs noodles. 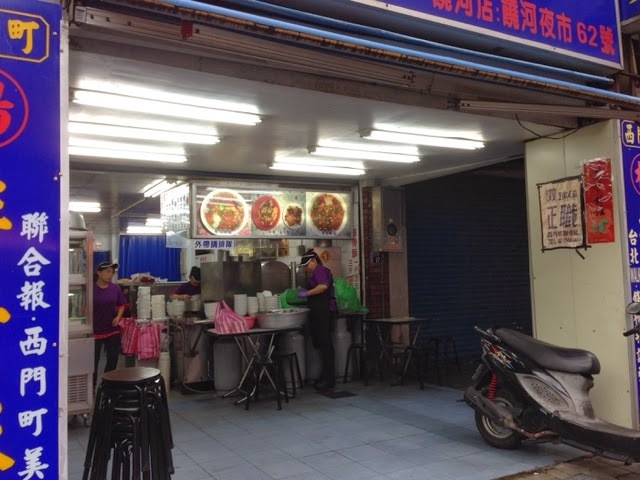 This stall was featured in TVBS food programme - Shi Shang Wan Jia (食尚玩家) and other media platforms. 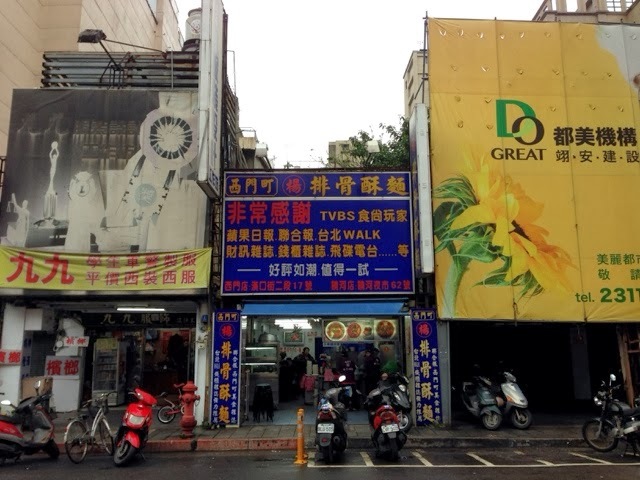 This stall is along Hankou Street (漢口街) next to East Dragon Hotel. 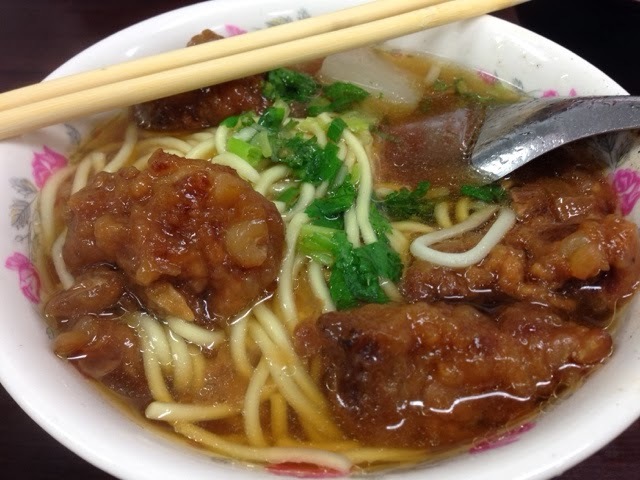 This restaurant was said to serve a traditional Taiwanese pork rib noodles soup. 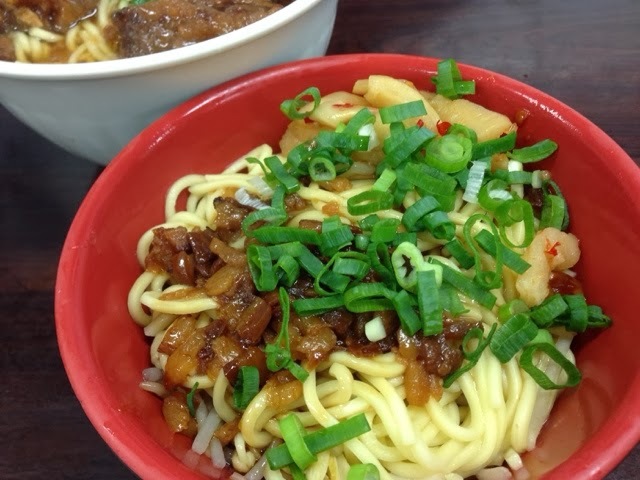 With great expectations, we decided to taste the famous and popular Taiwanese noodle dish. However, it was not as fantastic as it was publicised. Either our expectations were too high or the media has overrated the food. Our overall dining experience was mere normal and nothing spectacular.